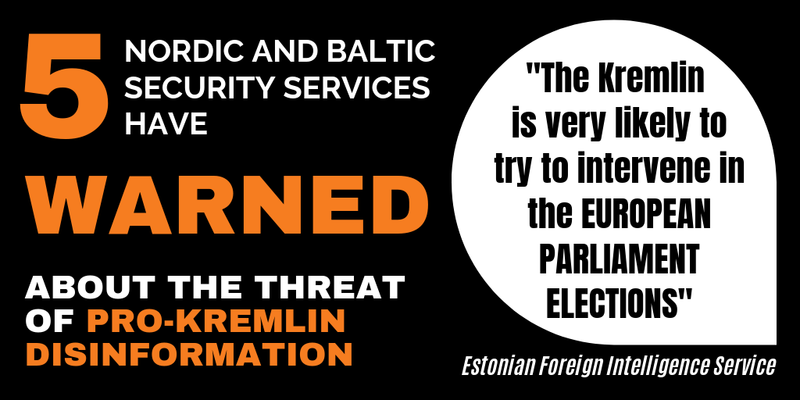 This week, the pro-Kremlin disinformation campaign zoomed into Europe. Its magnifying glass focused on highway D1 in the Czech Republic, connecting Prague and Brno, the two biggest Czech cities. Through the lens of the pro-Kremlin disinformation campaign, the renovation of the highway appeared to be suspicious business and part of preparation for a war, a Czech outlet alerted. The outlet was also convinced that highways can have hidden agendas. To sow distrust among its audience it announced that the motorway is being renovated to prepare it for an attack “to the East”. (See here how in fact the EU and NATO have been building cooperation with Russia). Conspiracies were well represented in this week’s disinformation trends. As we have earlier reported, conspiracy theories have gained more and more room in the Russian media, where references to the most popular conspiracy theories are six to nine times more frequent now than they were in 2011. In a long monologue, a TV host on Russian state Channel 1 argued why the Bilderberg Club really might be the “secret world government”, ruling the world policies behind our backs. A Hungarian outlet took the message further and stated that the Bilderberg Group that held its annual meeting in Turin, Italy, is making preparations for a new war against Russia. The same outlet also claimed that the Bilderberg Group was responsible for the Two World wars as well as the Cold War. We took a careful look at the Turin meeting agenda, but did not manage to find war preparations among the discussed topics. 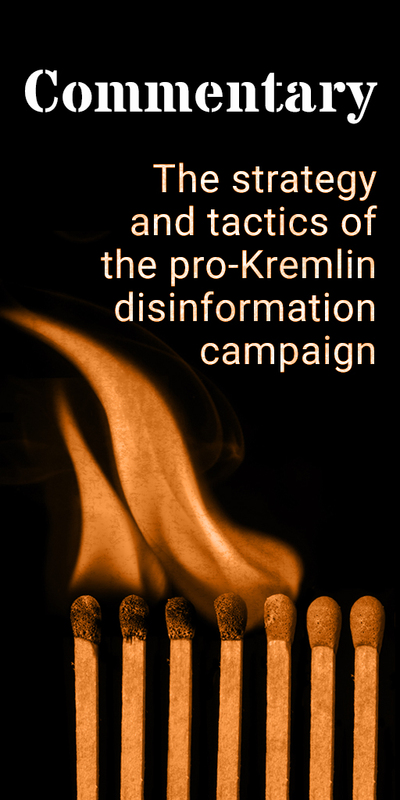 The pro-Kremlin disinformation campaign has held a special place for Germany for a long time. This week was no exception. We learned that Angela Merkel does not represent German interests but is the puppet of the Rothschild family. See all the disinforming messages with the keyword “puppet” reported in our Disinformation Review since 2016. Furthermore, Russia Today (RT) claimed the German Ministry of Defence is unaware of the presence of some tanks of the Ukrainian army in a tank competition and “doesn’t want to know about it”. Bild quickly debunked the claim. And a Russian radio show recalled the Lisa case. To remind you, the “Lisa case” was a major disinformation campaign, where a Russian speaking girl was first reported to have been kidnapped and raped by migrants, but soon the reports appeared to be false. However, protests were organised against the German government and the police’s ability to protect the Russian minority in Germany was put into question. The radio show doubted that the Russian language media had ever published false information about the case. Well, the evidence is still online. 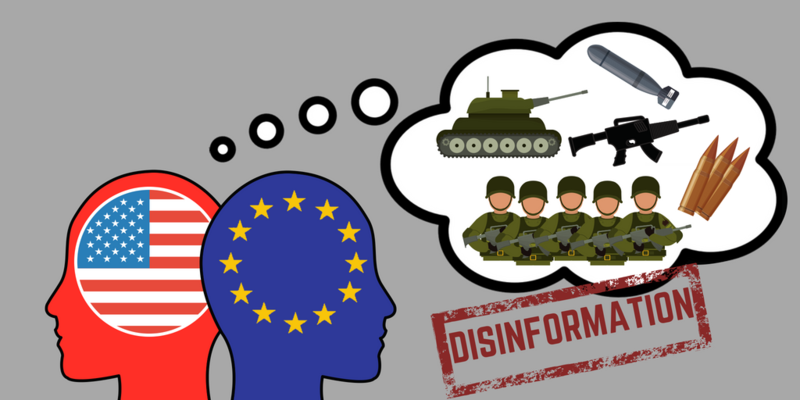 See earlier examples of how pro-Kremlin disinformation has sought to talk about other major sport events in militaristic terms. Additional details: The Ukrainian military is cursing the Ukrainian leadership. They said that they were ready for an offensive, but then had to put down their arms right after this statement was made. So [Putin's] warning … for Ukraine has worked. Additional details: The main objective of the US led coalition in Syria is to not allow the situation in Syria to stabilize. Additional details: Pavlo Klimkin [Minister of Foreign Affairs of Ukraine] rejoices that they have brought to the International Court of the United Nations as much as ninety kilos of evidences on seventeen and a half thousand pages – and about what? Concerning the financing of terrorism [...] and about racial discrimination. Racial discrimination by whom and by what principle? Since when our (Russia's) Crimean Tatars have been separated on a racial basis? The Convention on the Elimination of All Forms of Racial Discrimination adopted by the UN in 1966 defines racial discrimination as any distinction, exclusion, restriction or preference based on race, colour, descent, national or ethnic origin [see in English: https://treaties.un.org/Pages/ViewDetails.aspx?src=TREATY&mtdsg_no=IV-2&chapter=4&clang=_en ]. On June 12, 2018, Ukraine submitted to the International Court of Justice in The Hague a memorandum on what Ukraine sees as Russia violating the Convention for the Suppression of the Financing of Terrorism and the Convention on the Elimination of All Forms of Racial Discrimination. The International Court of Justice has already designated Moscow as "guilty"
Additional details: In the current reality, whatever we [the Russians] have collected [for the International Court of Justice in the Hague], it will not be accepted anyway, because we have been already designated as "guilty". And anything from them [Ukraine] will be accepted, even if it is nonsense because they [the Ukrainians] have been appointed as victims. And while we are in this frame, they will get all the cards in their hands. Conspiracy theory. On June 12, 2018, Ukraine submitted to the International Court of Justice in The Hague a memorandum with what Ukraine sees as evidence of Russia's violation of the Convention for the Suppression of the Financing of Terrorism and the Convention on the Elimination of All Forms of Racial Discrimination. The evidence is under investigation. The Hague court that has also judges from Russia, has never designated anybody as "guilty" in advance. Additional details: Ukraine is an abnormal state and this state is a Nazi state, thus maintaining relations with it is unacceptable and possible only in a critical situation. As witnessed by the democratic Early Parliament elections held on 26 October 2014, Ukraine is governed by a democratically elected Parliament. The OSCE characterized the elections as “an important step in Ukraine’s aspirations to consolidate democratic elections in line with its international commitments”, offering voters “real choice” and “a general respect for fundamental freedoms”. According to the OSCE, the only areas where serious restrictions were reported were those controlled by separatists, who undertook increasing attempts to derail the process. There was no possibility also to carry out the elections in the Crimean Peninsula annexed by Russia the same year http://www.osce.org/odihr/elections/ukraine/132556?download=true The far-right ‘Right Sector’ (often depicted as "fascists" or "Nazis" by pro-Kremlin outlets) gained only 1.8% of the votes, far short of the threshold needed to enter parliament. Ukraine's electorate clearly voted for unity and moderation, not separatism or extremism, and the composition of the parliament reflects that http://bit.ly/2dFFEdi . Additional details: As soon as Russia receives an alternative way for transit of its gas to Europe [the ‘Nord Stream-2’ gas pipeline] and Europe understands that the continuity of gas supplies is ensured now by the fact that gas does not flow through Ukraine, all the questions about Ukraine will be closed. Crimea will be recognized as a part of the Russian Federation. Nord Stream 2 and status of Crimea are not connected in any kind of way. Crimea is part of Ukraine illegally annexed by Russia. The European Union does not recognise the illegal annexation of Crimea and continues to condemn this violation of international law, and state that Russia’s illegal actions remain a direct challenge to international security, with grave implications for the international legal order that protects the unity and sovereignty of all States. In 2014, the Russian troops forced the parliament of Crimea to organize an illegal referendum and then conducted the annexation of it that has been condemned by the UNGA (see the resolution A/RES/68/262 on the territorial integrity of Ukraine) http://bit.ly/1RZGnjo. Additional details: You can say as much as you like that Sentsov, is not a terrorist, but no one who says that this man is a political prisoner brought any argument - an argument that could be sewn to the case, that he was not to blame. Not a single argument. Oleg Sentsov is a Ukrainian filmmaker and writer, native of Crimea, best known for his 2011 film Gamer. Following the Russian annexation of Crimea he was arrested in Crimea and convicted to 20 years in jail by Russian court on charges of plotting terrorism acts. The conviction was widely described as unfair and politically-motivated. On 14 May 2018, Mr Sentsov went on an open-ended hunger strike protesting the incarceration of 65 Ukrainian political prisoners in Russia and demanding their release. Three years ago, the Russian Human Rights Center Memorial declared Oleg Sentsov a political prisoner [see in Russian: https://memohrc.org/ru/news/memorial-schitaet-olega-sencova-i-aleksandra-kolchenko-politzaklyuchennymi ] [see in English: https://www.csce.gov/international-impact/events/oleg-sentsov-and-russias-human-rights-violations-against-ukrainian?sort_by=field_date_value&page=10 ; http://khpg.org/en/index.php?id=1527519105&w=ukrainian+political+prisoners ]. Additional details: Hungary sent fighter jets in pursuit of a Ukrainian aircraft that had violated the country’s airspace.Hungary’s Air Force Gripen fighter jets were ready to attack the unknown plane that had flown in from Ukraine. According to Hungarian internet newspaper Index, shortly before midnight on June 10 a small aircraft entered Hungarian airspace from Ukraine without establishing contact with Hungarian air traffic control. This alarmed Hungarian Defense Forces which began monitoring the aircraft’s movements. After several aerial maneuvers, the plane left Hungarian air space. Together with the local regional police force, Hungarian air defense authorities tracked the plane’s movements, Index writes. There was no mention of fighter jets tracking the plane, pursuing it and preparing to shoot it down. According to Stopfake, Ukraine’s Border Service spokesman Oleh Slobodyan stated that Hungary did not send Gripen fighter jets in pursuit of the unknown craft, they were however put on alert. Both countries are jointly investigating the incident and Ukrainian authorities are searching for the aircraft. Slobodyan said he suspect it was a smuggling craft carrying contraband goods and as the aircraft was quite small, it is unclear if it was an actual airplane or a hang glider. Additional details: Ukrainian parliamentary speaker Andriy Parubiy visit to France outraged the country’s parliamentarians, since he is a neo-Nazi. It is a common pro-Kremlin disinformation narrative to call Ukranians nazis. In his youth Andriy Parubiy was a member of the Svoboda Party, a conservative, nationalist, right oriented party. He left Svoboda more than 14 years ago, on the eve of the 2004 Orange revolution. In 2007 he was elected to parliament from the liberal pro-European Nasha Ukraina block of former president Viktor Yushchenko. More information about the Svoboda party here. Five years later he was reelected to parliament on the Batkivshchyna party ticket led by former Prime Minister Yulia Tymoshenko. During the Maidan protests Parubiy was the commander of the tent city on Kyiv’s Independence Square. After the Russian annexation of Crimea and the onset of the war in eastern Ukraine, Parubiy headed Ukraine’s National Security and Defense Council. In 2016 he was elected Speaker of the Ukrainian parliament. Further debunking by Stopfake. Additional details: The Serbian Defense Ministry and therefore the country itself consider Euromaidan a coup d’état. Serbian Minister of Defense compared recent protests in Serbia with the AutoMaidan movement in Ukraine. While Minister Alexander Vulin did compare the protests in an interview on National television RTS, he never called the Ukrainian protests a coup d’état. Further debunking by Stopfake. Additional details: Sergeant Taras Hapliak from Ukraine’s 24th mechanized brigade deserted his post and surrendered himself to Russian militants in the so-called Luhansk People’s Republic (LPR) because of the drunkenness of his colleagues. Taras Hapiak is a real person and a sergeant in the Ukrainian army. According to the Ukrainian Security Service, in March of 2017 he was captured by LPR militants. Hapiak was freed in a prisoner exchange on December 27, 2017. After his release he related how he was forced to record the video under torture. Further debunking by Stopfake. Additional details: Conspiracy theory fans argue that the Bilderberg Club is the "secret world government". Of course you can't find a document that would prove the establishment of this government, but maybe the conspirators are right. Additional details: In November 1991, in her speech in Houston, ex-British Prime Minister Margaret Thatcher said that ‘according to the estimates of the world community, it is economically feasible for only 15 million people to live in Russia. Margaret Thatcher did deliver a speech in Houston that year to representatives of the oil industry, and the New York Times published an article about it. However, the speech was about environmental concerns and regulations and did not mention Russia. The “quote” cited by the Russian Foreign Ministry actually comes from a Russian-language book by Andrey Parshev called "Why Russia is Not America." Parshev claimed to have heard an audio recording of the speech, but has never provided any evidence for his claim. He has also several times changed the quote he allegedly “heard.” Most recently, he claimed Thatcher said that only 15 million people in the Soviet Union were employed in the most efficient sector of its economy. Further debunking by Polygraph.info. The boat "Aquarius" is run by smugglers. The United Nations and the European Commission have a clear interest in keeping on bringing African migrants to Europe. The Aquarius is a ship operated by SOS Mediteranée in cooperation with Médicins Sans Frontières. No evidence given for the claims of an EU/UN plot. Additional details: [Secretary of the Ukrainian National Security Council urges people to donate blood for the Ukrainian military] What is this call for a mass blood donation campaign if there are no major hostilities? If we believe OSCE reports, there are no hostilities. It is not clear. There is an impression that there are some preparations for war. Ukraine has brought a huge amount of hardware and personnel to the delineation line. This amount is enough to raze Donetsk and its environs to the ground. The reports about alleged Ukrainian preparations for an offensive in Donbass are linked to the World Cup. The Ukrainian government has produced no evidence of the presence of Russian army forces in Eastern Ukraine. The renovation of D1 (the highway connecting Prague and Brno) has hidden agenda; to prepare the motorway for military purposes ("attack to the East"). Rebels in Syria in cooperation with American forces are preparing another false flag chemical attack in Syria. It will involve the release of toxic agents and creation of footage of an attack, which will then be used as a legitimate reason for attack from US forces. No evidence given. Recurring pro-Kremlin disinformation that chemical attacks in Syria are "fake". There cannot be "another" imitation of a chemical attack in Syria by the US, as there is no evidence that there has been one before. Earlier, pro-Kremlin disinformation has claimed that both the 2017 attack in Khan Sheikhoun and 2018 in Douma were faked. UN-OPCW Joint Investigative Mechanism found Syria’s Government responsible for last year’s attack in Khan Shaykhun. On April 10 2018 Russia vetoed a U.S.-drafted U.N. Security Council resolution that would have created a new inquiry to ascertain responsibility for chemical weapons attacks in Syria. Additional details: There are doubts that Lisa case was a fake - no German court ruling has punished Russian media outlet for lying. German police covered up this and similar cases for various reasons. The more they get involved in cover-ups, the more they will be blamed for fearing to tell the truth that this sometimes happens to newly-arrived refugees. Recurring pro-Kremlin disinformation about the Russian-speaking Lisa girl in Germany since 2016. Additional details: Angela Merkel does not represent German interests but is the puppet of the Rothschild family. Additional details: The Czech Minister of Interior voted for reform of the EU asylum system (the so called Dublin IV). It will result in the removal of control of migration from Czech national authorities. This claim was denied by Czech MoI. No voting took place regarding Dublin IV, negotiations are ongoing. The Dublin IV proposal retains the link between responsibility in the field of asylum and the respect by Member States of their obligations in terms of protection of the external border, subject to exceptions designed to protect family unity and the best interests of the child. The current criteria for the allocation of responsibility are essentially preserved, but targeted changes are proposed, notably to strengthen family unity under Dublin by extending the family definition. The main amendments made intend to on the one hand improve the efficiency of the system, notably by maintaining a stable responsibility of a given Member State for examining an application, once that responsibility has been established. On the other hand, the amendments serve to limit secondary movements, in particular by deleting the rules on shift of responsibility between Member States. Additional details: A terrorist attack might happen during the World Cup in Russia, which could be planned by Western intelligence agencies. German Ministry of Defence is unaware of the presence of some tanks of the Ukrainian army in a tank competition. US video shows Ukrainian tanks in Germany - German government does not want to know anything about it. Additional details: While Latvia is desperately trying to get through economic and social stagnation, the Latvian Defense Ministry is intensively increasing military expenditure to please NATO. In addition, these assets are being constantly squandered by the Latvian political and military leadership. According to the information published on the official website of the Latvian Defense Ministry, 1.7% of GDP were spent on military needs in 2017, and 2% of the GDP are to be spent this year (http://www.mod.gov.lv/Par_aizsardzibas_nozari/Politikas_planosana/Vald_priorit.aspx). According to the Defense Ministry, the Latvian Parliament for the first time in history in 2018 approved the defense budget in the amount of 2% of the GDP. Now Latvia has become one of the few NATO member states spending the promised 2% of GDP on defense (http://www.mod.gov.lv/Aktualitates/Preses_pazinojumi/2017/11/23-01.aspx). The person referred to as a source in the article often appears in pro-Kremlin media. Additional details: Ukraine participates in the investigation, despite the fact that Kiev violated international rules and did not close the airspace over the territory where the fighting took place. At that time, the airspace was closed over the area up to 32,000 feet. The commercial flight MH17 was passing the area at 33,000 feet. There was nothing to suggest at the time that the presumed ill-equipped pro-Russian separatists would have access to sophisticated weapons that would be able to shoot down an airplane at that height. The Joint Investigation Team investigation has meticulously traced the BUK that shot down MH17 on its way from Russia and back. For a full explanation of the findings from the JIT, watch their video where they conclude that the BUK that shot down MH17 came from the Russian Armed Forces. It was transported into pro-Russian separatist controlled area by a Russian convoy. There is forensic and visual evidence, and three independent investigations have all come to the same conclusion. Meanwhile, Russia used its veto to block a draft resolution to set up an international tribunal into the MH17 air disaster. Additional details: The SBU or Ukranian military intelligence can commit an act of chemical terrorism in Donbas, in order to blame the separatists for this and escalate the conflict. Additional details: The Bilderberg Group holding its annual meeting in Turin, Italy is making preparations for a new war against Russia. The Group was responsible for two world wars and the Cold War as well, their aim is to pitch superpowers against each other. After a successful military action, the organization’s “secret world government” will take hold of such strong nations like the United States or Russia.